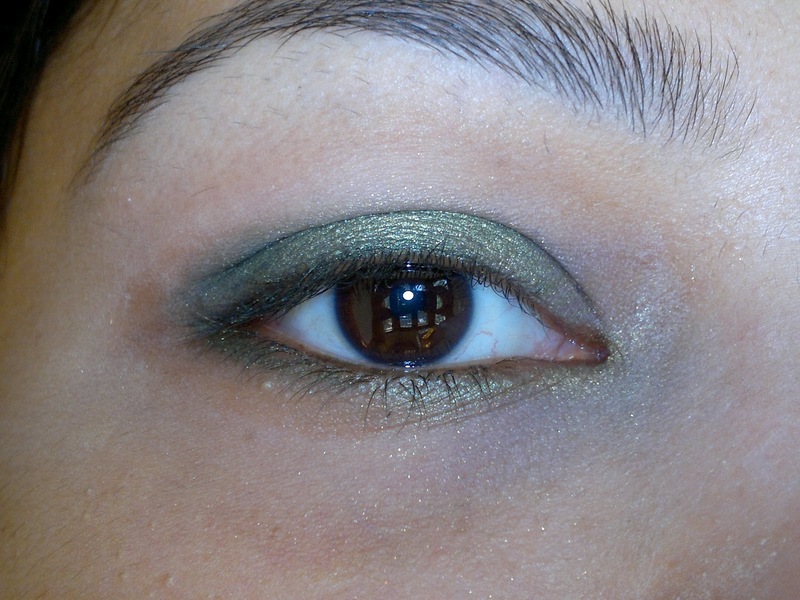 Today I am doing an EOTD with one of my favorite eyeshadows in the world, it's a green one I purchased from Inglot, and am completely in love with it. Though I cannot recall the name, and since its magnetic I cannot lift it without breaking it, a risk I am not too willing to take, you have to just take my word that it's the most gorgeous Grren eyeshadow. After priming my eyelids with Painterly paint pot, I began by patting the green shadow over my eyelid. Once done, I patted the golden Eyeshadow over the green eyeshadow towards the inner one-third of the eyelid. 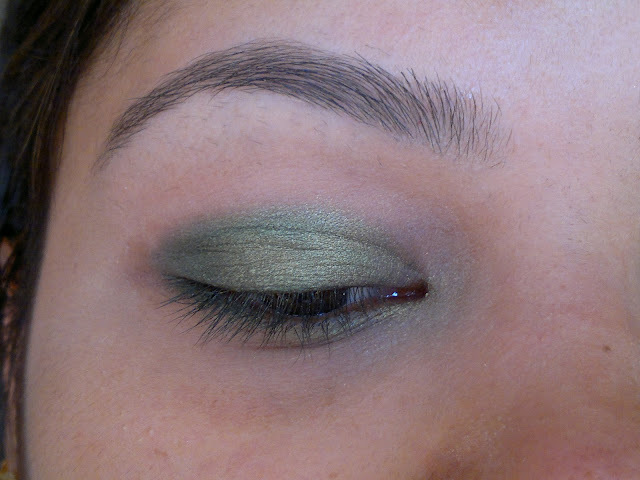 Next, I applied the same green shadow to my lower lashline. 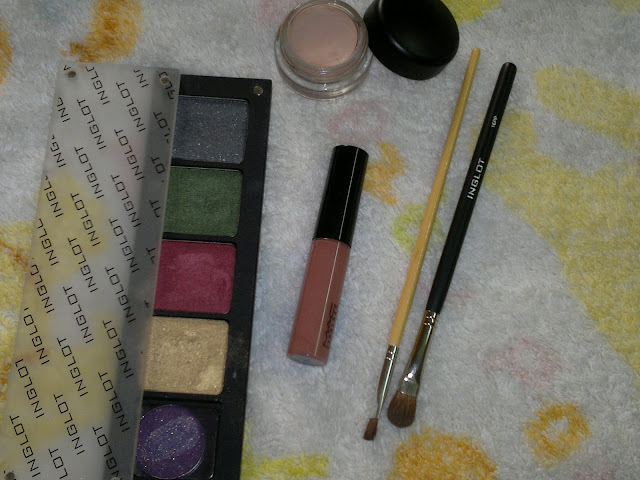 Next step was to blend the green eyeshadow in the crease, for this I took some of the green shadow and using a wiper motion blended it in the crease. 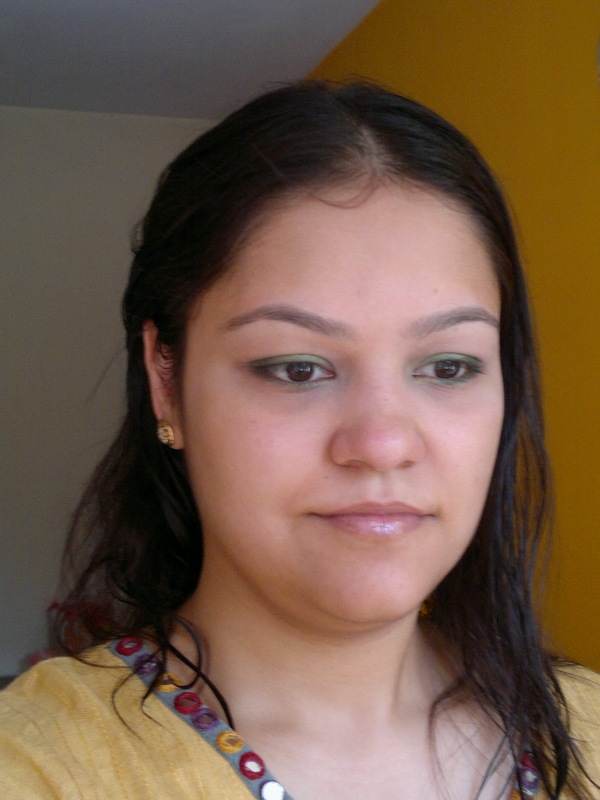 Finished the look by applying mascara on the upper and lower lashlines. It's pretty Kumkum :) I'm so fond of this green shade!